World Book Day is the worldwide celebration of authors, readers, publishers, illustrators and so on. The day is designed by The United Nations Educational, Scientific and Cultural Organization (UNESCO). 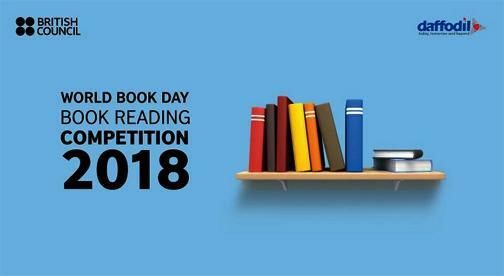 To celebrate the day each year British Council Bangladesh organises a nation-wide book reading competition. The organisation wants to encourage Bangladeshi children, young adults and adults to explore the happiness of reading. This year British Council and Daffodil Education Network (DEN) will jointly organise this competition. Visit the following link for more information. « Nurul Islam Mahfuz & Monirul Islam invited to attend the ICAL-2018, Srinagar, Kashmir.